Founded in 1992 by MICE writer Marcel A.M. Vissers as a publisher dedicated to the global conference and meetings industry. For more than 25 years, our company has been guided by the belief that the meetings industry deserves a content-driven and thought-provoking media to inspire and stimulate our minds to create better associations and meetings; a medium to serve as a platform for all voices across the spectrum of our diverse global MICE industry. Today, our award-winning portfolio of niche publications are widely read and respected by key decision makers within the international association, corporate, AMC, PCO and agency sectors, as well as convention bureaus and government institutions. Based in Brussels, the association hub and capital of Europe, our company brings you quality content marked by substantive research and interviews with a Pan-European sensibility. Our editorial and sales team, small yet professional and efficient, is proud to apply their expertise in keeping readers updated and informed about the latest happenings and trends in the ever-changing meetings industry, immersing readers in all facets of association management and destination insights for business events. Our accomplishments over the years have been recognised by a string of awards, including “Belgian Meetings Industry Award” (2005), “MICE Personality of the Year 2007” from the Belgian Chapter of MPI (Meeting Professionals International), “Golden Meetings Industry Medal of the French Republic” and “Best Press Coverage of Brussels” from the Tourism and Convention of Brussels (BITC) (both in 2007), with the latest being “The Stickiest Green Article” award at the 2013 Sticky Awards organised by IT&CMA Asia and CTW Asia-Pacific. 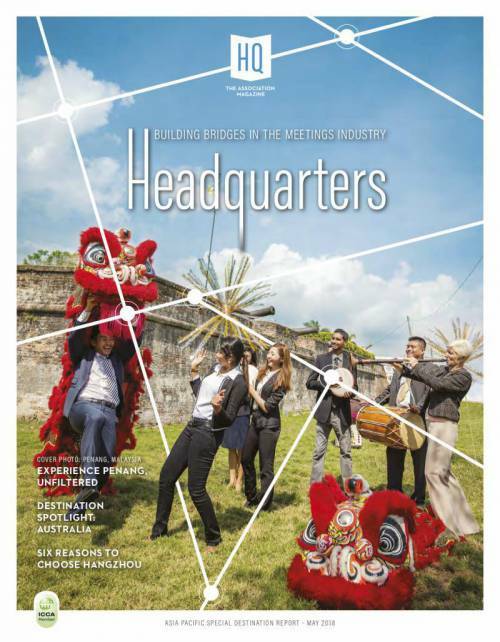 Belgium’s first magazine devoted to the MICE industry was launched as MIM Europe. It has garnered a reputation as the practical guide for the European corporate community with its coverage of industry news and in-depth analyses of meeting and incentive trends. Beyond content, MIM has developed long-term partnerships with EUMA (European Management Assistants), ECM (European Cities Marketing) and SITE (Society for Incentive Travel Excellence). In 2002, this industry bellwether evolved into Headquarters Magazine with six editions annually and has continued to serve as an essential resource for association executives. It received a redesign in April 2016, and September 2018 to meet the ever-changing trends of the meetings industry. HQ Magazine - the Association magazine - have established a long-standing partnership with UIA (Union of International Associations), IAPCO (International Association of Professional Congress Organisers). 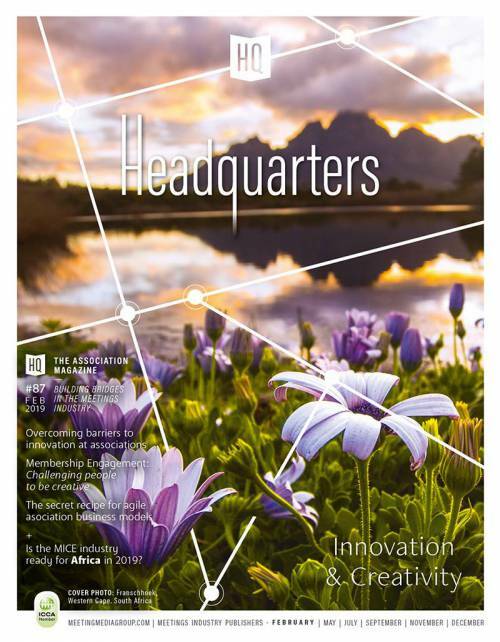 The HQ EMIAM Association Innovation Center was born as a part of the new academic partnership between the Executive Master in International Association Management (EMIAM) of Solvay Brussels School and Headquarters Magazine. We widened our peripherals across the Atlantic oceans into Latin America in 2018 by establishing a partnership with Punta del Este-based publication EVENTOS LATINOAMERICANOS. In 2019, we became partners with global public affairs and association management consultancy Interel Group, and one of the world’s leading Professional Conference Organisers (PCOs) Kenes Group. Here's a full list of our partners. Currently, we publish HQ Magazine as well as a variety of destination reports and customised supplements which are available both in print and online on our digital platform HQ Magazine.Live. 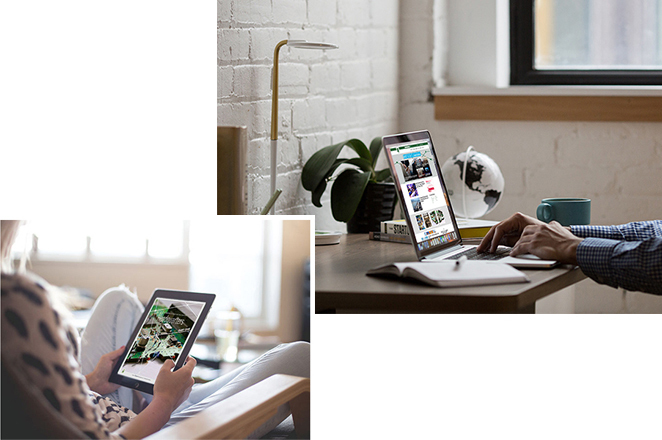 We also curate our website as a knowledge hub with latest news and thought-leadership, develop our social media channels as an engagement platform for our readers, and continue to foster better partnerships across our MICE industry.